Mark your calendar Pinoy peeps! American rock trio Paramore is set to return to Philippines next year, on 18 February 2018, at the Mall of Asia Arena. 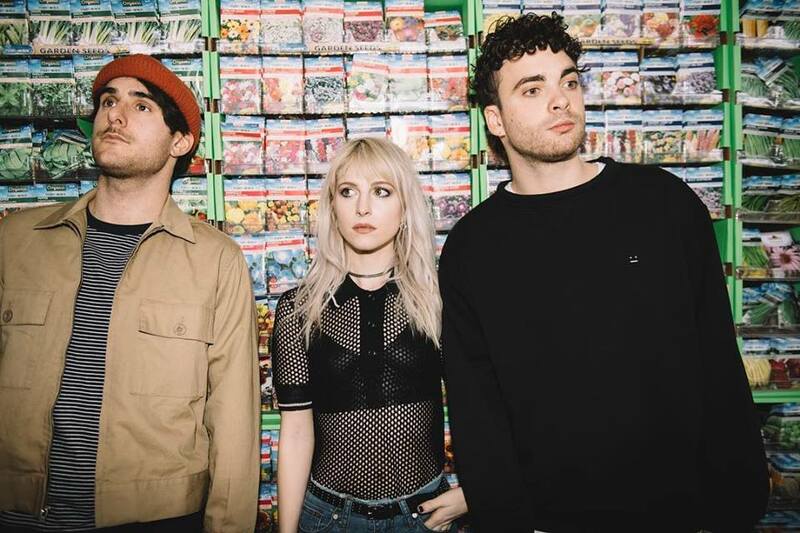 Marking their return to the country after five years, the Manila concert will be part of the band’s Tour Four in support of their fifth studio album, “After Laughter” which includes “Told You So”, “Hard Times”, and “Fake Happy”. 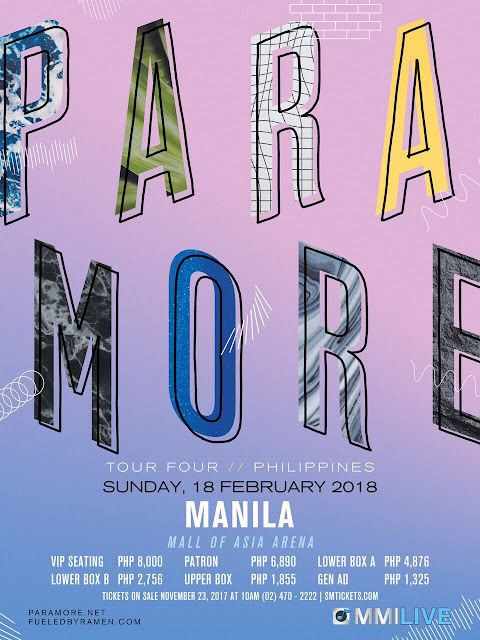 This will be the Grammy-winning band’s third concert in Manila after performing here 2010 and 2013 for Brand New Eyes World Tour and The Self-Titled Tour respectively. The female-fronted band made up of lead vocalist Hayley Williams, guitarist Taylor York and drummer Zac Farro, gained commercial success through their song “Decode”, the lead single for the novel-based “Twilight” film. Some of their other successful hits include “Ain’t It Fun”, “Misery Business”, “The Only Exception”, “Still Into You”, and “That’s What You Get”. Tickets for the Manila concert will go on sale on 23 November 2017 at 10am through smtickets.com, with prices ranging from PHP1,325 for General Admission to PHP8,000 for the VIP section.